The Journeys of my Beating Heart: September 11, 2001. I Remember. September 11, 2001. I Remember. The day when 3000 people lost their lives..
9th September 2001. It has been 13 years since the attack hasn't it? This day really means something to me. My family and I were living in New York when the terrorists attack occurred...in fact just a few streets away from the world trade building. I was 2 then so... of course I don't have any memories of it but my parents knew friends who died in the attack. Every so often, when people mention 9/11, a pang of sadness sometimes even guilt will hit me. 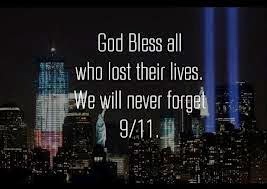 I pray for all the people affected by 9/11. I pray for world peace. I'll definitely go back to your wonderful blog too! Rest in peace the 2,976 American people who lost their lives on 9/11 and rest in peace the 48,644 Afghani and 1,690,903 Iraqi people who paid the ultimate price for a crime they did not commit.